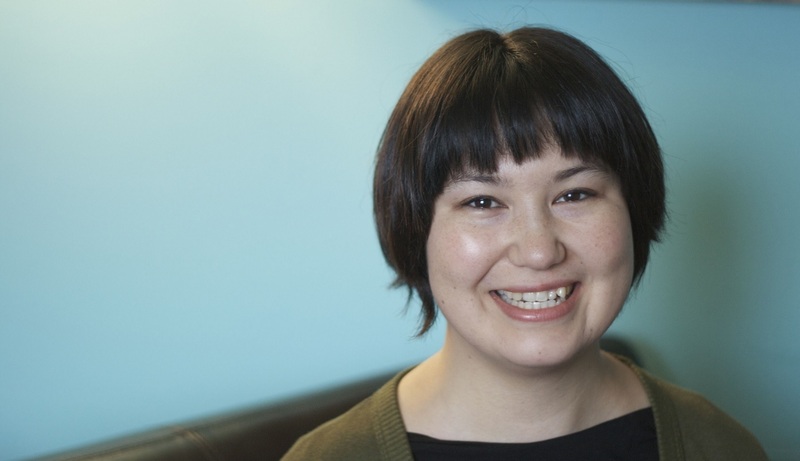 Today we’re thrilled to share the profile of Emi Yamasaki McLaughlin. She’s a midwife based out of Seattle and shares a little of the history of Japanese midwives in the Pacific Northwest and their role in keeping midwifery alive in the early 1900’s. She also gives us her thoughts on the importance of growing a birth worker community committed to social justice. What does it mean to you to be an Asian-American midwife? Being an Asian American midwife is very complicated for me. I am mixed race and was raised solely by my white mother. Reconnecting with my Japanese heritage and culture has been a continual process. I draw on the stories of the josanpu who were trained as midwives in Japan in the late 19th century and immigrated to the U.S. Many josanpu, like many midwives throughout history and like my mother, were the primary breadwinners in their families. The josanpu are part of the reason why WA state has a law on the books that made midwifery legal. In the early 1980’s a Seattle women’s health collective was encouraged by an African American Department of Health official to start a midwifery school so that they could practice under this law. (The DOH official’s sister was a midwife in another state.) The school they founded was Seattle Midwifery School, which became the Department of Midwifery at Bastyr University. When I earned my Master’s in Midwifery at Bastyr, I felt as though I were inheriting a piece of the josanpu’s legacy. My mother saw a feminist health collective for her prenatal care and had 3 home births (including me!) So I knew that midwives existed. It was when my sister invited me to be her doula for the birth of my nephew, that things really clicked. She asked me to read a few books in preparation, one of which was written by a home birth midwife. I was struck by how a person could prepare themselves pretty simply to have a healthy birth by eating well and moving their body during pregnancy and even during labor. It seemed like common sense. I had earned my Bachelor’s degree in Women’s Studies, so creating an empowering atmosphere in which people could give birth was a logical path for me. This may sound harsh, but don’t cold call/email midwives. It is a nuisance. Midwives are extremely busy – as small business owners, being on call, taking care of their own family, etc. If you want to connect with midwives, get involved in the birth community. Take a doula training, volunteer at conferences, become a familiar face. Find a local childbirth educator to connect with and offer to volunteer in their classes – help with set up, bring snacks, etc. (Childbirth educators are often also doulas, but they aren’t on call as much as midwives). Make business cards. It doesn’t matter what training you have or if you have none at all. Put your face, name, phone number, email and any services you offer (e.g. doula, sliding scale doula services, etc.) on a business card. They are cheap, and it makes you look professional. There are clients out there for you. We all would love to give our services away for free, but you deserve compensation for your time, effort and any training/experience you have. You can offer sliding scale, but be willing to ask for what your time and effort are worth. Sometimes you’ll get it. Take business and marketing classes. We need more midwives of color and birth workers committed to social justice, including white allies. We need people from our own communities who understand the needs of our communities and can create models of care and access that best serve our communities. We need new models so families can feel empowered during their pregnancy, birth and transition to parenthood. We need to raise awareness about the benefits of midwifery care. We need allies to share the burden, referrals, resources and knowledge. And we need allies and midwives of color to create healthy clinical opportunities for students of color and other marginalized students (LGBTQ folks, single parents, students with access needs, male students, etc.). Reblogged this on Midwives of Color.